As I glanced up the washroom door, I could see graffiti. “Seriously, are people really that bored?” was my initial thought … then I looked more closely. When I read what had been written there (in the image above), a smile began to form across my face. how many other females have read that sentence and smiled as well? 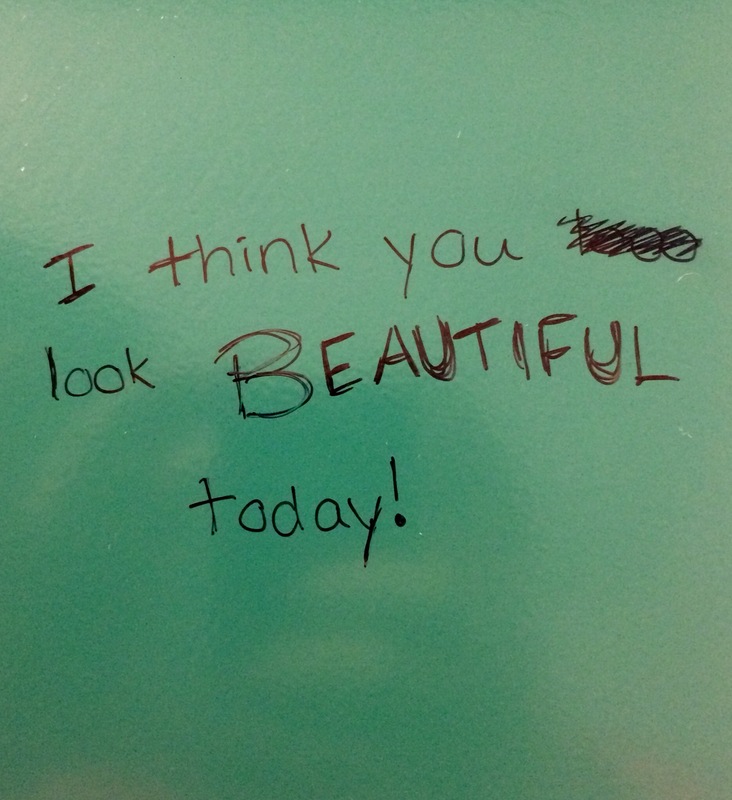 Though I would not necessarily encourage the defacing of other’s property, it was delightful to see that the author of this graffiti understood the power of encouraging words, even to unknown recipients. In a time when it seems that everything from social media, to the news, to water cooler conversation is negative in character, may we all be reminded that the power of our words is great, and that encouragement is a better way.